Dunbar was three under through nine holes but after giving them back with three bogeys after the turn, he eagle the par-five 17th to card a two under 69 to move up to tied 50th on two under. Grant is a shot further back on two under after a 70 that moved him up 18 spots on the leaderboard to tied 57th on two under. Both 28 years old and born just five days apart, Delpodio and Ravano have experience very similar journeys in the world of golf, playing together as kids and coming through the system before making their way in the professional game in the Alps Tour and now upon the Challenge Tour. Delpodio is well aware of the depth of talent among the chasing pack behind him, and knows he cannot afford to offer any friendly chances to Ravano or any of the players looking to knock him off the top of the leaderboard. “I am happy to be in this position but I know I cannot relax because there are so many players out there with good chances. Even yesterday’s leader is still in contention, and he is dangerous for tomorrow. 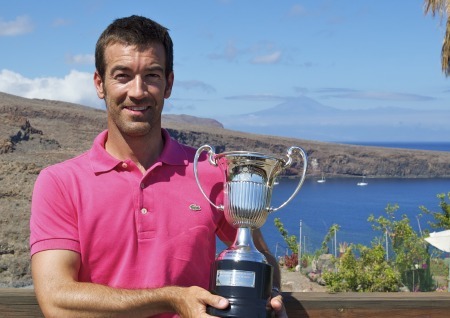 Eduardo De la Riva won the Fred Olsen Challenge de España at Tecina Golf, La Gomera on the Canary Islands.Niall Kearney ended a run of five successive missed cuts and clinched his best finish as a professional when he closed with a five under 66 to share 11th behind Spaniard Eduardo de la Riva in the Fred Olsen Challenge de España. Daniel Vancsik has made just one bogey in 54 holes. Niall Kearney shot a third round 69 but trails Argentina’s Daniel Vancsik by eight shots in the Fred Olsen Challenge de España. Edouard Dubois was on fire in the Canaries. 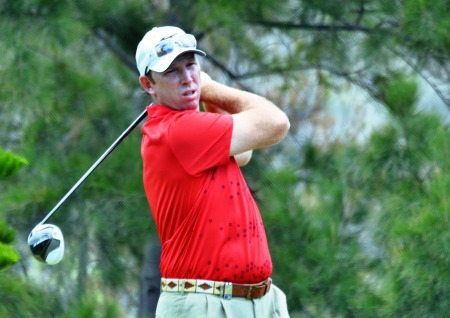 Picture courtesy Fred Olsen Challenge de EspañaSimon Thornton shot a 68 but found himself five strokes adrift of Frenchman Edouard Dubois after the first round of the Fred Olsen Challenge de España. 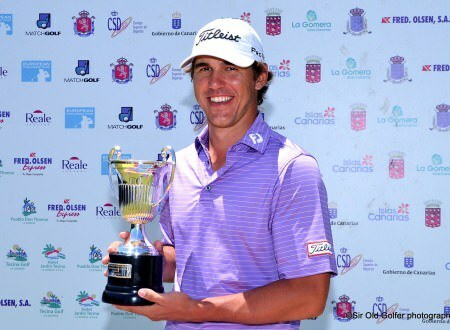 Brooks Koepka with the trophy. 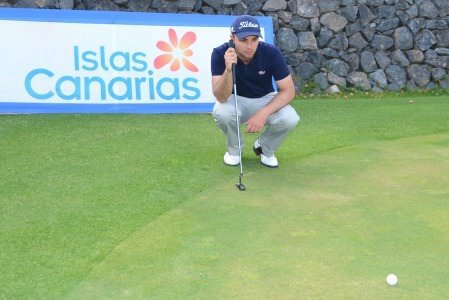 Picture courtesy Fred Olsen Challenge de EspañaChris Devlin and Gareth Shaw will head for the Czech Republic with a spring in their step this week despite disappointing finishes in the Fred Olsen Challenge de España.